WorldNews is a powerful WordPress theme. 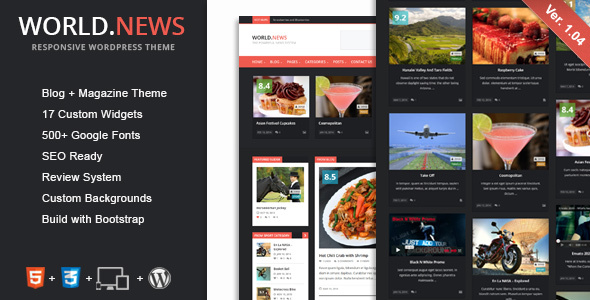 WorldNews theme can be configured to focus on your news, blogging, etc. WorldNews theme developed on the Bootstrap — beautifull boilerplate for responsive development so it look beautiful at any size, be it a 17” laptop screen or an iPad, iPhone.